Sizes Included: 18" x 18"
Baaaaaaa!!!!! This large, soft and squashy cushion has rapidly become the snuggle-up favorite at my house! 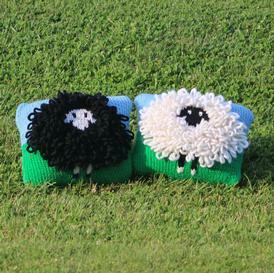 Each whimsical cushion has a white sheep on one side and a black sheep on the other. * They are seriously charming and bring smiles to all who see them! 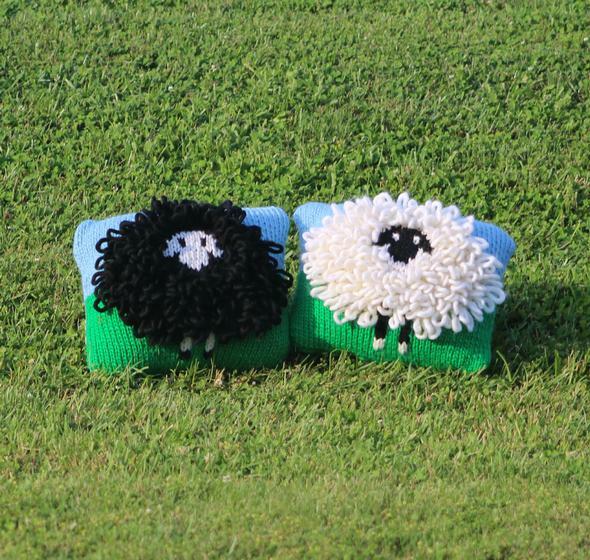 The cushion is made with super-bulky Knit Picks Tuff Puff which is perfect for creating the loopy locks on this ovine duo. An added bonus to using super bulky yarn is that the cushion works up crazy fast (there are only 41 stitches in each row)!! The locks are created with loop stitch. Don't worry if that's a new one for you... 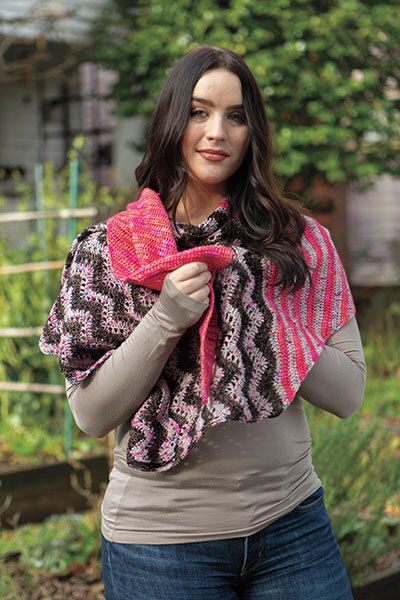 I have created a video tutorial for this pattern that shows exactly how to do it. Finally, Sheepish is a charted pattern. For those who are new to charts an overview on how to use them is included with the pattern. The Sheepish Cushion has a zipper along the lower edge (hand-sewn in place with needle and thread) for ease of access to the pillow form for cleaning. Spinners, however, are encouraged to not purchase a pillow form and to use Sheepish as a place to store their fiber!! *In the course of making these cushions I dubbed the sheep Darryl and Darryl (with fond remembrances of the Bob Newhart Show).